The John Deere 5105M is part of the 5M series and it’s a powerful utility tractor. The 5105 M is the most powerful of the series and, as the name suggests, has 105HP. Other models with smaller engines have from 65HP to 95HP. 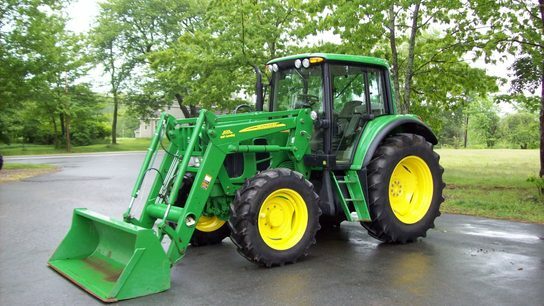 The 5M series was designed to replace the John Deere 5025 and the current model is heavier by 700 pounds. That extra weight went in areas like the axles, the three point hitch, the chassis, the housing of the transmission or the loading mounting points. As for the engine of the 5105M, it’s a 4.5L model for this version, with 4 cylinders. The same engine is used for the 5095 and 5085 versions from the same series, but the 5075 and the 5065 get a 3L engine with 3 cylinders. Either way, the engines are all turbocharged. The engine available on the 5015M is a PowerTech E4045, which goes up to 2100 rpm/s and 105HP gross. There is quite a bit of technology put into this engine, with features like the full pressure system of lubrication and the heavy duty block used as the chassis basis, allowing the machine to give its best even in ravines or ditches, places where conditions aren’t exactly perfect. 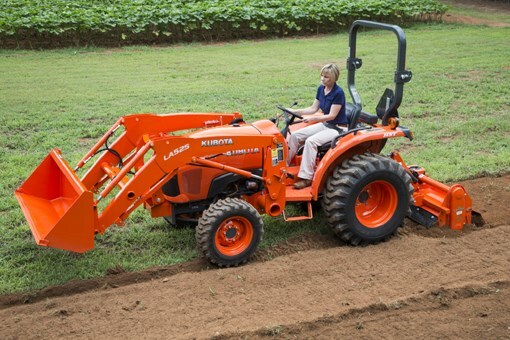 Since the tractor has heavy duty components and a balanced crankshaft, the level of vibration you’re getting from it is very low. You get the option of choosing between three options when it comes to the transmission, among them being 32 speed forward and 16 speed reverse, 16/16 and 12/4. 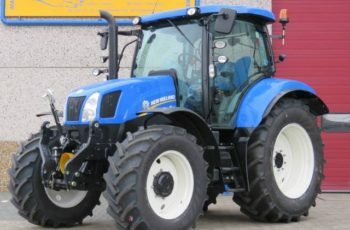 The tractor that was tested had the 32F/16R option. Getting from reverse to forward or forward to reverse is done via a clutchless transition. The internal clutching is done in wet hydraulic mode, so the system has a longer lifespan and it’s something that is great to have when there are multiple operators for a machine. The cab of the John Deere 5105M is climate controlled and it has a protection system against roll overs. The cab option adds to the weight of the tractor an additional 1100 pounds. There are options available that make the operator extremely comfortable and give him adjustments for the back rest. These machines were designed by John Deere to be very easy to maintain. You don’t need to remove any screens and the hood is made in a single piece. The service interval for the engine oil is every 300 hours, though there is an option that allows you to do it every 450 hours. 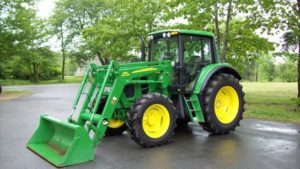 Overall, the John Deere 5105M should definitely be considered if you’re looking for a tractor with over 100HP.